Note: This freebie was originally posted about back in December of 2010. That specific offer has since expired but the same freebie is now available from a different source. Therefore I have republished this post to let everyone know about it, in case you missed it last time around. Sorry if you get double e-mail/RSS/Facebook/Twitter notifications! Do you have a photo that would look just right if you could only remove one or more objects or persons from your composition? For example, look at the following two pictures. The original on the left features a large building in the foreground that dominates the scene while also blocking an uninterrupted view of the horizon. If we could somehow remove this, it would open up the entire view. You can see what we mean in the picture on the right. With the building gone, we can really appreciate the full beauty of this landscape. 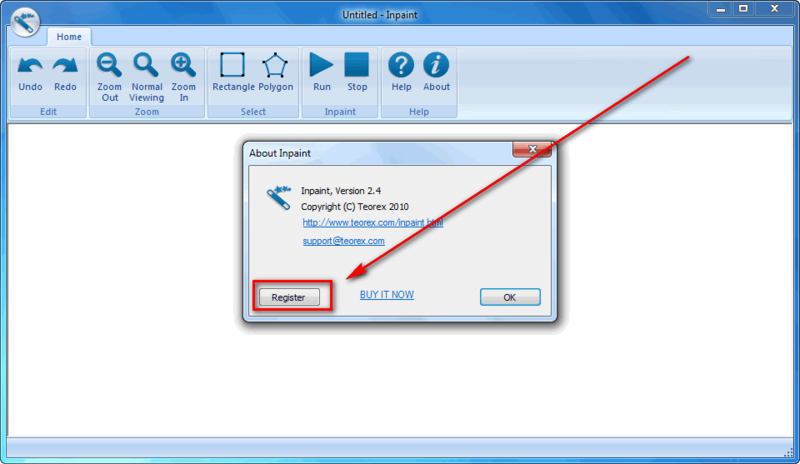 Well, now you can remove just about any unwanted object or person using Inpaint. Change the boundary area Inpainting creates. 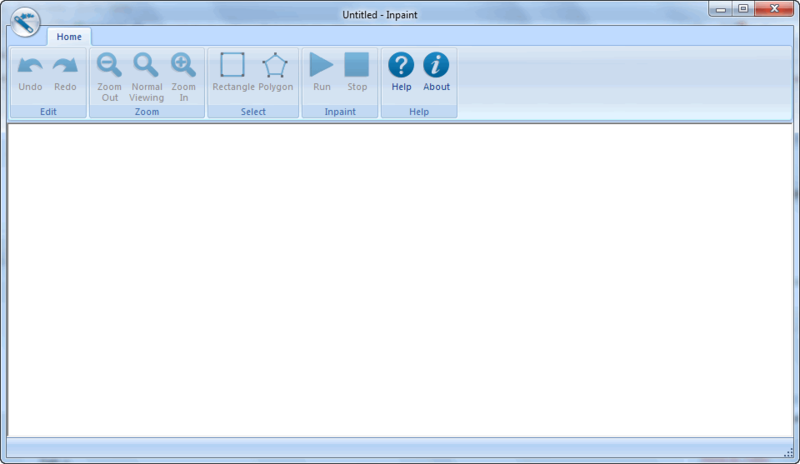 Reduce or enlarge the rectangular area Inpaint generates using any of the eight resizing handles which appear around your selection. Rather than trying to remove all objects at once, try selecting and applying the Smart Remove Selection button to each one separately, one after another. Move backwards through your changes one step at a time using the Undo Last Action feature in the task pane, then try making a more accurate selection of the object you wish to remove. 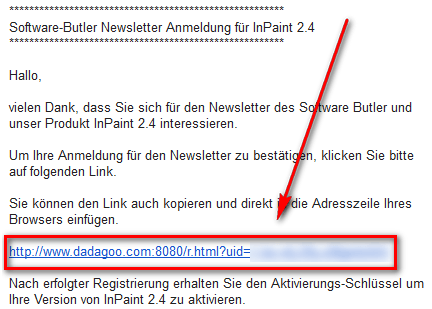 If your feel your selection is accurate, simply Inpaint it over again. Each Inpaint procedure is unique so you’ll get a slightly different result each time you apply the Smart Remove Selection button. 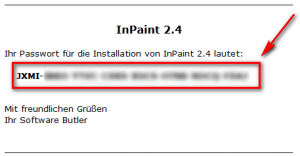 Inpaint reconstructs the selected image area from the pixels near the area boundary. Remove undesirable objects from still images, such as logos, watermarks, power lines, people, text or any other undesired artifacts. There’s no need to manually go through messing around with your old clone tool any more! Now you can use Inpaint to easily remove all those unexpected objects that end up spoiling an otherwise really great photograph. 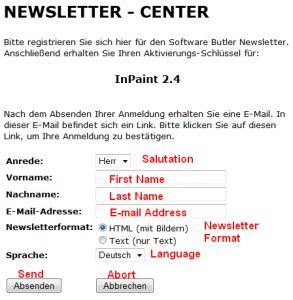 InPaint is being offered for free via a promotion run by PC Welt . There is no information if you can install/reinstall at a later date (I believe you can, though) nor is there information on how long this promotion will last. The promotion by PC Welt is of the German version of InPaint. 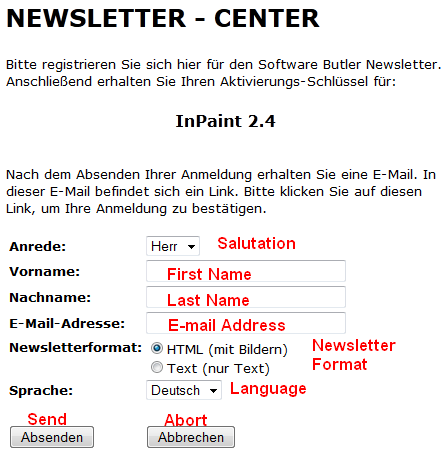 Since most of us don’t speak German and prefer English, I will be providing directions on how to use the serial key provided by the PC Welt promotion with the English version of InPaint. 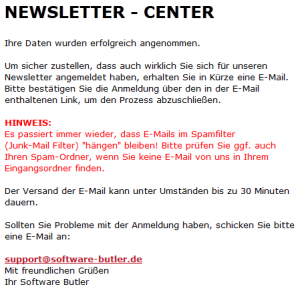 Once you fill out the form, hit Absenden. Click on the link, or copy + paste it in your web browser. 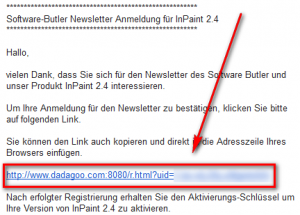 Copy this registration key because you will need it very soon. 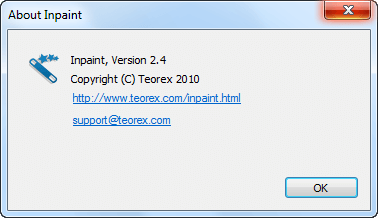 If you have trouble getting InPaint for free, post below and other dotTechies or I will try to help.